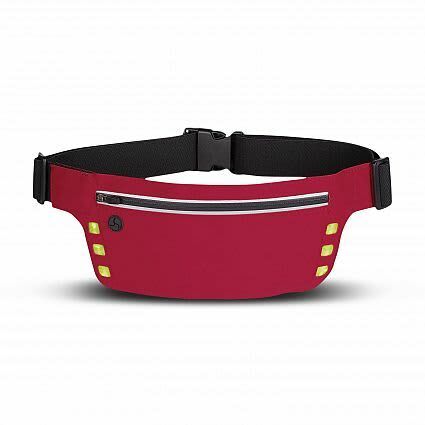 Safety running belt with an adjustable elastic waist belt and a reflective zippered closure. It has six bright LED’s under reflective square housings on the front which have three light functions (slow blink, fast blink and continuous light). 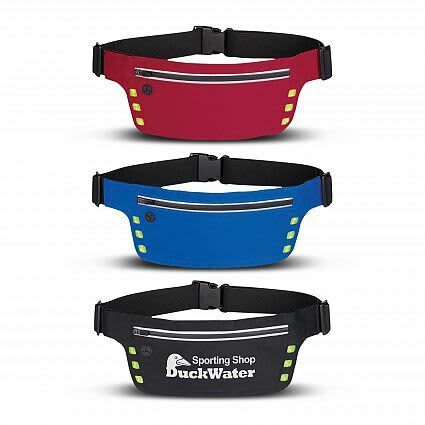 The lights have push button activation and a button cell battery is included under the hook and loop closure tab. A built in earbuds slot is also included. W 310mm x H 115mm. Digital Transfer 127mm x 38mm.